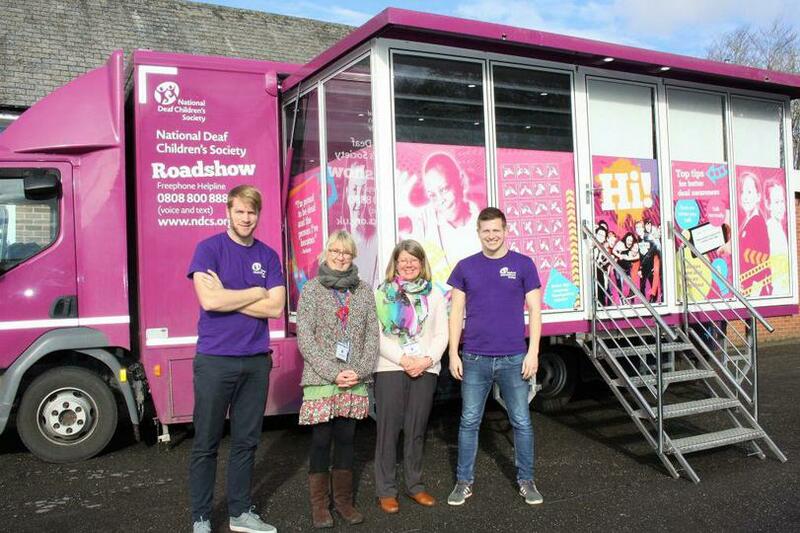 We were fortunate to be chosen to have a visit from the National Deaf Children’s Society Roadshow (or Listening Bus, as it is known) on Wednesday 7th February. They were based on the school site all day and ran a range of workshops for deaf/hearing impaired secondary and primary school students in the area. A workshop designed to improve self-esteem so the students feel comfortable with their deafness and confident about being independent in a hearing world (secondary students). A workshop aimed at raising the students’ knowledge of their rights for support in education, training and employment, and preparing them for the challenges ahead (secondary students). A workshop designed to promote positive mental health and good emotional wellbeing for deaf children (primary students). Both secondary and primary students were involved in technology sessions, giving them the opportunity to try out new technologies, such as vibrating alarm clocks, flashing doorbells and Bluetooth devices. This session also aimed to increase their understanding of their T program and how it can help them when using mobile phones and accessing sounds such as music and TV. Parents were also invited along to try out these technologies at the end of the day. “On Wednesday Luke and I, along with two pupils from Okehampton College visited the Listening Bus, which is a bus for deaf people. On the bus we met some friendly adults who work for NDCS. On the bus we talked about the benefits and downsides of being deaf. After that we looked at lots of technology for deaf children e.g. alarm clocks and head phones. Then we looked at options for our future when we left school: university, apprenticeships or employment. We learnt that one of the adults was a footballer for England deaf team.